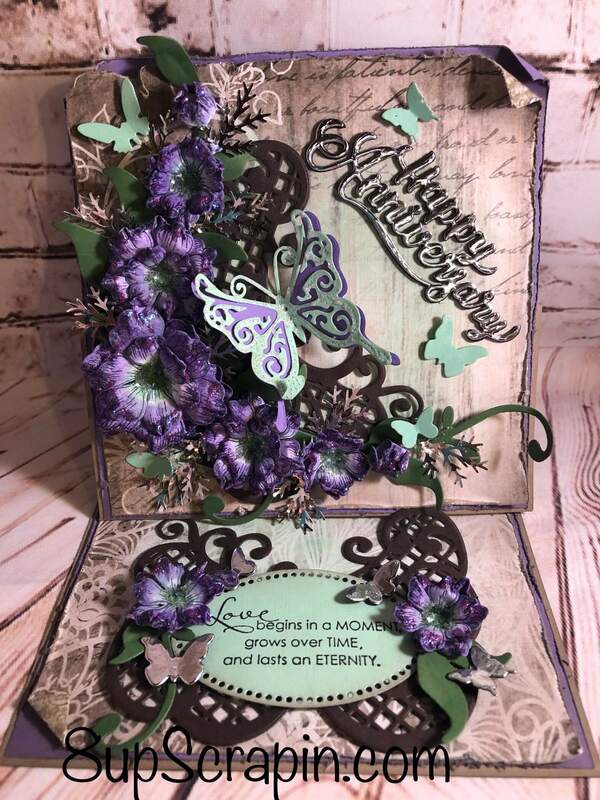 So today’s card I went all out and handmade flowers from Heartfelt Creations Arianna Blooms,I started with stamping flowers on white cardstock and then die cut them out , then I picked my colors a purple and then a mint green for the centers , I took these to my daughters volleyball game to ink while I watched her play , these can be done while watching TV or waiting in the lobby for a Dr. appt. 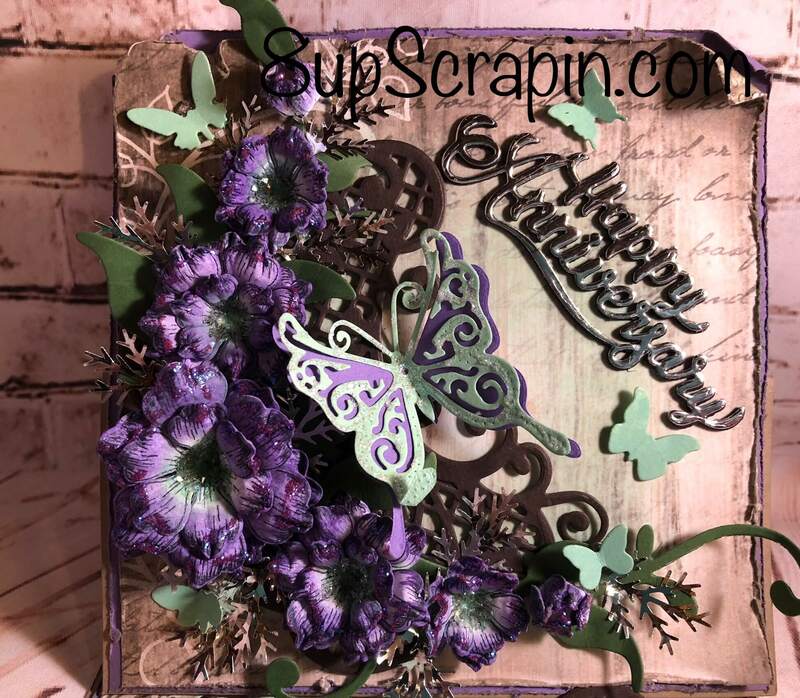 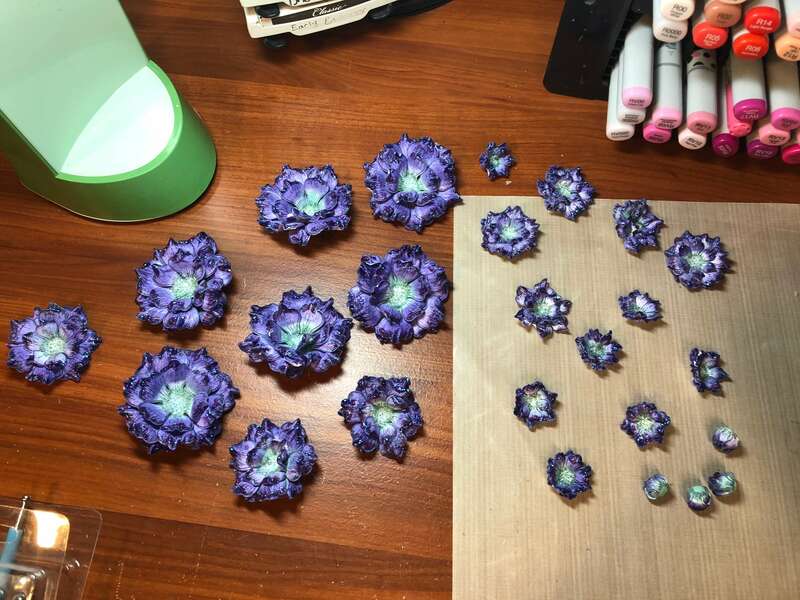 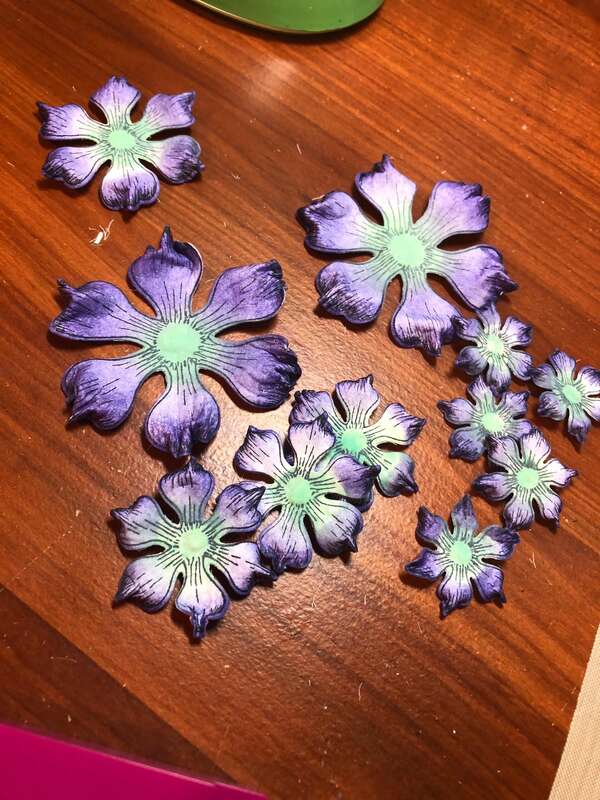 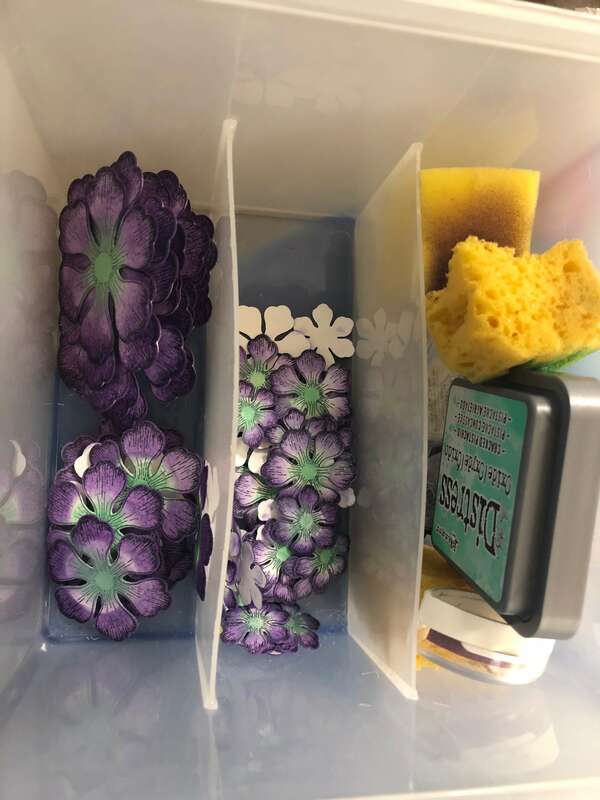 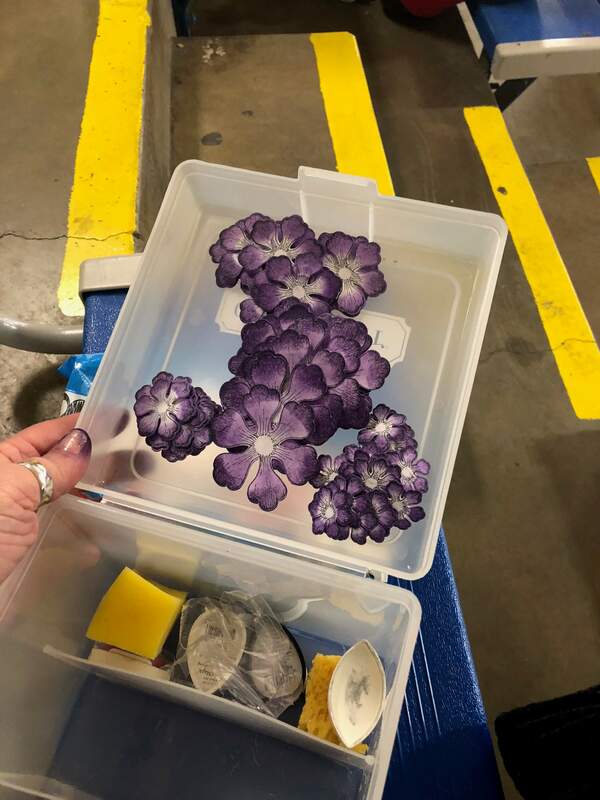 here’s a close up , the glues will dry clear and you will be left with lots of wow , these flowers take a little bit to create but are so worth the time it takes . 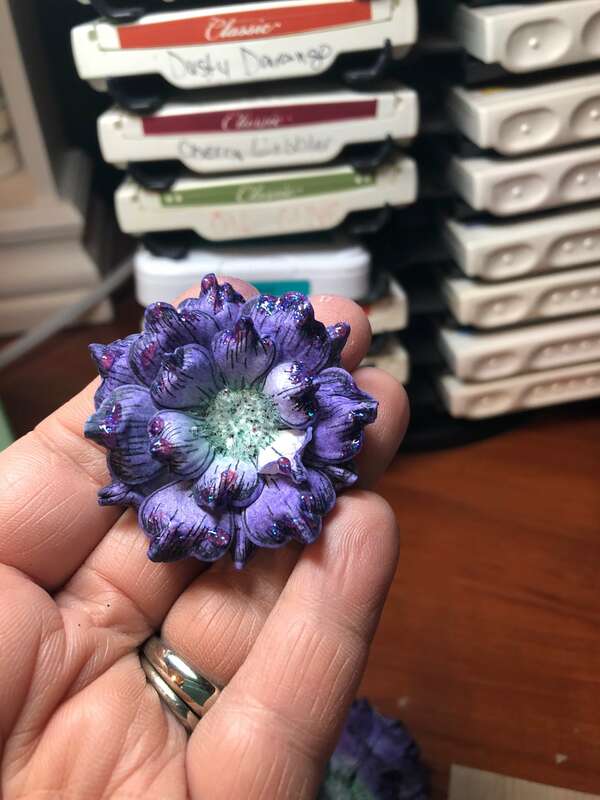 When I gave it to a friend of mine to give his wife ,he said it was so awesome and was going to make her cry ( happy tears I hope ). 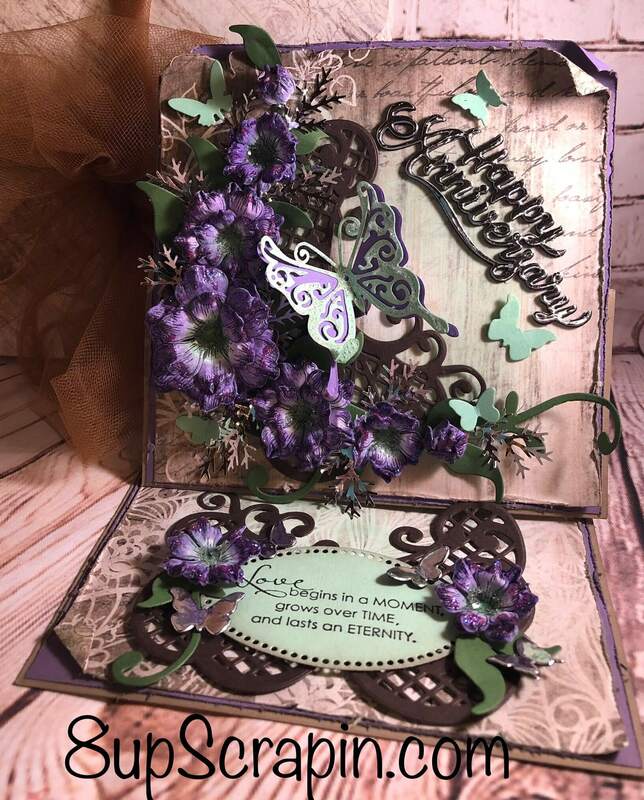 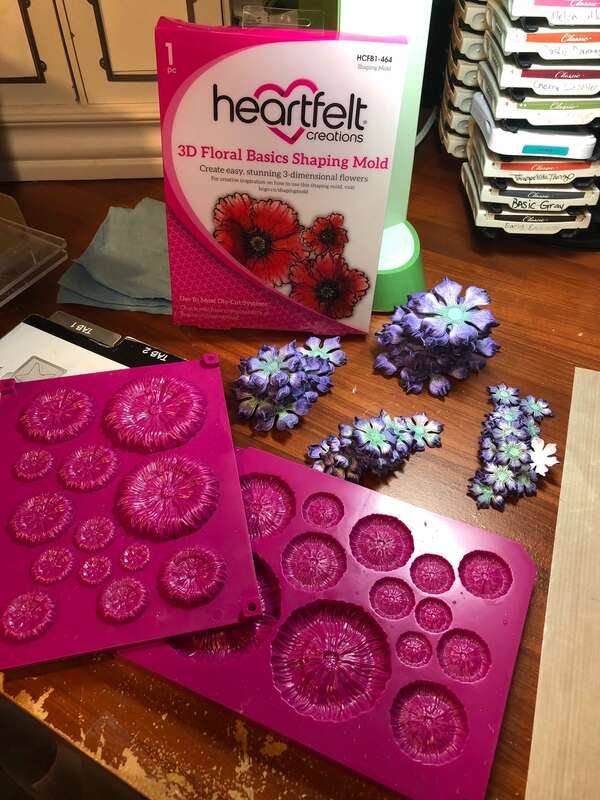 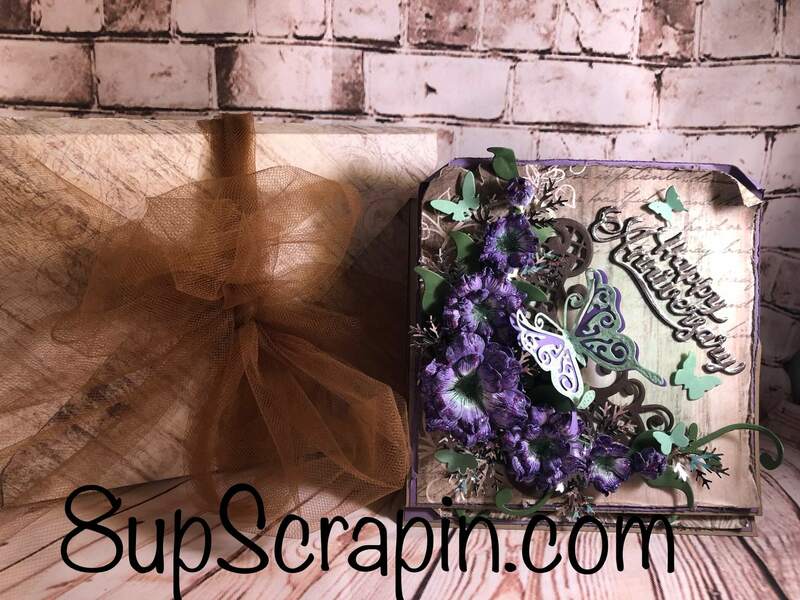 Hope you check out Heartfelt Creations Arianna Blooms and dies and the 3D shaping mold.